End-to-end app development is made much easier by utilizing big data marketing through search engine data, download data, and other metrics. Mobile app development has become a very popular profession over the past few years. However, the success rate of most mobile apps when it comes to end-to-end app development is abysmally low. According to research from Gartner, only about 0.01% of all mobile apps end up being financially lucrative ventures. This figure is even lower in some verticals, where developers focus on obscure fads that may fizzle before their app reaches the market. A growing number of app developers are turning to big data marketing to improve their likelihood of success and increase their ROI. There are a number of reasons for the low success rate in the mobile app development business. Big data can help address almost all of these challenges. Here is an overview of the challenges and an outlook for the mobile app development industry in the age of big data. While big data is most useful for determining the market interest in different app ideas, it can also be valuable for producing apps after the idea is formulated. There are a number of ways that big data is being used to develop apps more efficiently. According to Node JS, big data has made it possible for developers to store and extract open source code at their convenience. This significantly reduces the amount of coding that they need, thereby reducing their production costs. Big data also helps reduce the prevalence of syntax errors. New compilers are able to identify common coding errors, which allows them to easily make changes to ensure the code runs properly. Possibly the biggest reason that most mobile apps fail is that they are not designed with customer needs in mind. When mobile app development first became popular, there was a ridiculous number of flashlight apps on the market, which crowded the App Store and Google play. Most mobile app developers have learned that they can’t just create random apps and hope that they sell. They need to align their apps with real world needs of their customers. Unfortunately, this is easier said than done. One developer that I knew in the Bay Area admitted that the projects that he worked on seemed like they would address the needs of a lot of local businesses, but customers he pitched said they didn’t find the solutions helpful. My colleague made an uninformed opinion about the products that his customers needed. Big data helps developers approximate size of the market for various apps. Below are some ways that helps. Developers can pay close attention to the number of downloads that other apps have received. This can help them identify what types of solutions are already generating the most interest with their competitors. This data is easily sorted and can even be extracted with Hadoop tools. Search engine marketing data can be particularly useful. You can collect this information in a couple of ways. You can start with the Google or Bing Keyword Planner tools. These tools have massive amounts of data on search volume for various key phrases. There also a number of third-party keyword research tools that use big data to assist search engine marketers. You can also run your own search engine marketing campaign and use the broad modified match matching (BMM) option. This tool will help you see how many impressions various search phrases are receiving. You can test it with a very low budget in non-English-speaking countries and see which types of problems receive the most attention there. I once ran a search engine marketing campaign in Brazil and discovered that and an unexpected number of people were searching for solutions to a specific healthcare problem. This data can be extremely valuable if you are developing a mobile app. Not only will it help you estimate the volume of different keywords that you intend to target, but you can also use it to estimate the interest in various app ideas. 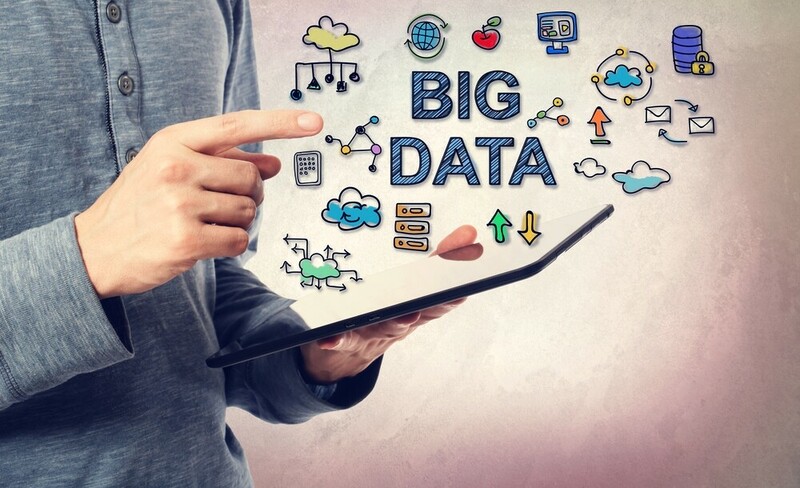 While the term big data was coined before the birth of mobile apps, it was still in its infancy. As it has evolved, it has played a more important role in app development. It is helping developers improve their ROI and reach customers more effectively. It will be incredibly important for them in the years to come.